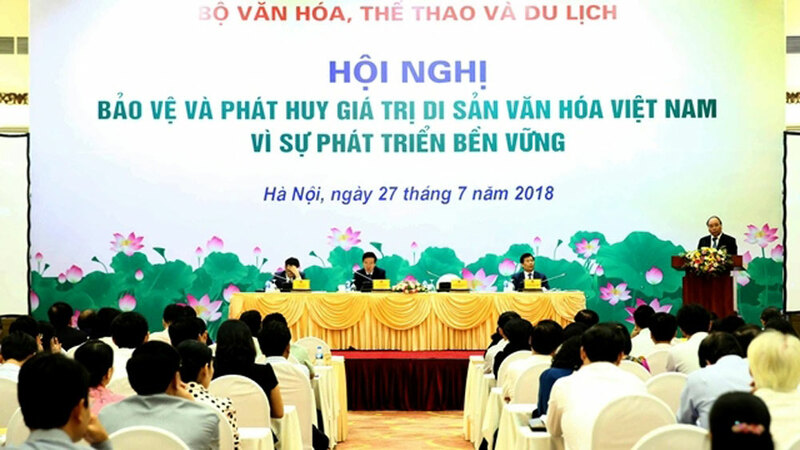 The first national conference on the preservation and promotion of cultural heritage in Vietnam was held in Hanoi on July 27, with the participation of Prime Minister Nguyen Xuan Phuc. “The task shared by all of us, especially those in the cultural sector, is to revive our heritage sites, making them more appealing and bringing them to life,” stated PM Nguyen Xuan Phuc at the event. (Photo: NDO/Duy Linh). Head of the UNESCO Vietnam branch Michael Croft and authorities from World Heritage Site localities, cultural researchers, and experts also joined the event. Addressing the event, PM Phuc stated that heritage sites are treasures made either by nature or during the ongoing development of previous generations. The leader stressed that protecting and promoting the value of heritage spaces is not only the responsibility of the State but of the entire society. The State will create legal frameworks and policies for the work, while the community must play the central role in preserving and passing on to younger generations the value of their heritage. It is necessary to enhance international integration and partnership in heritage conservation and management, as well as the strict implementation of commitments to UNESCO and the international community, he said, adding that making the world’s cultural heritages more globally diverse is not only the responsibility of Vietnam, but also an international obligation. He asked for the increase of supervision and protection of UNESCO-recognised cultural and natural heritage sites, as well as for non-geographical cultural heritage, such as traditions and rituals. The Government leader stressed the need to use social resources effectively for the protection of heritage sites and the promotion of its value, creating optimal conditions for people to engage in the work and benefit from it. He also highlighted the necessity to harmonize tourism development with the preservation of historical-cultural heritage and environmental protection, as well as the strengthening of technology application in heritage conservation and management and the digitalization of data on aspects of cultural heritage. Quan ho folk singing is recognized by UNESCO as world intangible cultural heritage. Statistics from the Ministry of Culture, Sports, and Tourism show that Vietnam owns over 40,000 heritage sites, including nearly 10,000 sites ranked at provincial level, 3,463 at national status, and 95 of special national level. UNESCO has recognized eight heritage sites in Vietnam as deserving the status of World Cultural and Natural Heritage. 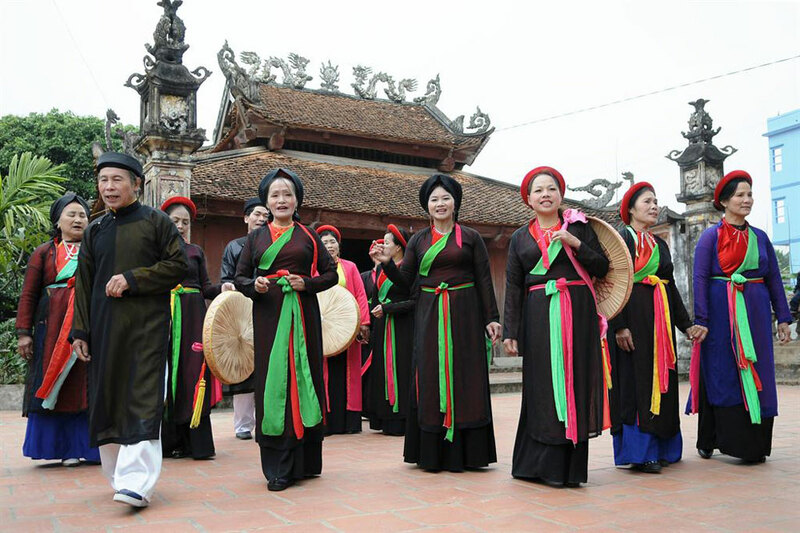 Under the Law on Cultural Heritage and the Convention of the Safeguarding of Intangible Cultural Heritage, Vietnam has 61,669 intangible cultural heritage elements. Of this, 11 have been listed as the Common Heritage of Humankind, with one in need of urgent protection. Following UNESCO’s World Memory Programme, Vietnam has seven documents deemed as Documentary Heritage by UNESCO, including three World Documentary Heritage documents, and seven that represent the Heritage of the Asia-Pacific Region.